Alliance attacks Undercity. Forsaken begin losing the battle, Undercity is evacuated, Varok is defeated and captured, Alliance push through the wall and the plague is used on the Alliance's forces while protecting a certain "Azerite War Machine". Brill is overtaken by Gilneas, Jaina is present during this battle, then Sylvanas escapes and releases the plague on the Undercity. The Horde assault Stormwind to release Varok and a bunch of prisoners from the Stockades and then escape through the Cathedral district to Talanji's ship in Stormwind Harbor. Kezan is overtaken by the Venture Co. and has to be retaken. 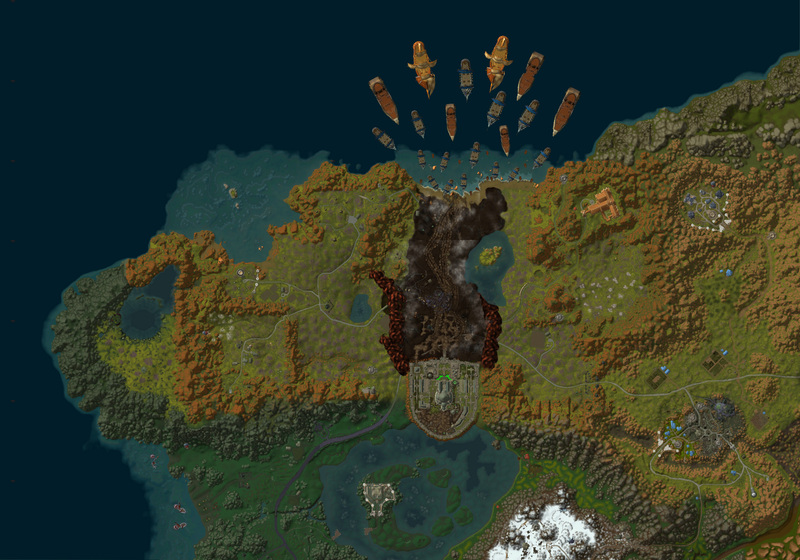 Boralus is nearly destroyed by the naga. The Zandalari aren't initially against Zul. It seems that Rashakhan is still following Zul, but the former's daughter knows that the Zandalari will be destroyed if they continue to do so. After a series of events that we don't know at this time, Rashakhan turns against Zul and joins the Horde with his portion of the Zandalari, whilst Zul and his followers become an enemy. The Dark Irons are currently split in half, as has been speculated since Cata/MoP. Moira's Dark Irons are in the Alliance, but the other half is holding Shadowforge. The mission is to unify the Dark Irons so that we can use their strong military to fight the Horde, as well as their miners to gather more Azerite. It looks like there are now five Old Gods. Got a link to where you are reading all of this? Red Shirt Guy has said that the map files for Kul Tiras and Zandalar date back to Legion beta, so this xpac has been in development of some degree since then. Hoo boy. Arguably my favourite city and zone in this game, so trust me when I say that I've got a flamethrower with Teldrassil's name on it. Well, according to Mmo-C and Red Shirt Guy, Sylvanas actually destroys UC for both the Horde and Alliance. There is an Azerite War Machine that either the Forsaken or the Horde built. We don't know what it does, but the Alliance push UC to destroy it. It is possible that it is what was used to burn Teldrassil (Teldrassil was burned first. UC was the response). Sylvanas flees from the Alliance several times, leaving the Horde to be captured or killed (Saurfang is captured). When the Alliance get to the Azerite War Machine, Sylvanas has the Blight deployed, which kills some Alliance soldiers and renders UC completely uninhabitable by both sides. Actually, it isn't a retcon. Info that was accidentally revealed at Blizzcon implies that this fifth Old God was created by the Titanforge on accident. If that isn't the case, then there are other explanations. One is that ancient Kalimdor isn't the only continent, just the largest. Old Gods could've possibly landed on the others. Another theory is that each of Y'shaarj's heads represents a weaker Old God that it absorbed. You see, C'thun and Yogg are capable of creating as many eyes, maws, and tentacles as they want. Yet Y'shaarj for some reason only had seven heads. If he absorbed six other Old Gods, including Xal'atath and this Nazmir Old God, then that could explain it. As for how the Titanforged got it, perhaps after Y'shaarj was killed, they found the Nazmir Old God? According to the released broadcast text on Mmo-C, Malfurion is leading the NEs against the Horde in Ashenvale after the burning of Teldrassil. We travel with Jaina to Boralus to try and get Kul Tiras to join the Alliance. The Alliance hasn't spoken with Kul Tiras since Daelin Proudmoore was killed. When we arrive, Jaina's mother, Katherine, throws us into prison and exiles Jaina. Rastakhan will be killed according to text datamined. His daughter will take over as the ruler of the Zandalari. The most recent build added a new minimap for Tirisful Glades. It looks like the Alliance warpath has been made even more devastating. According to the recent datamined broadcast text, we now know what has happened to Teldrassil. Sylvanas wants to claim the Azerite in order to conquer Kalimdor. By conquering Kalimdor, the Horde would build an empire there - one that the Alliance couldn't touch. Instead of borders seperating them, the Horde and Alliance would be seperated by oceans. This, combined with the Horde's empire, would create a peace between the two factions. What is unknown right now is whether Teldrassil burning was intentional or not. Sylvanas points to Silithus on the map>. No matter what I do, THIS will change the balance of power. And azerite sightings are coming in from across the world, $n. We still do not know its full potential, we only know that it will create a new generation of warfare. What will war look like in twenty years? In a hundred?" "The Horde's children, and their children's children, will curse our memories as they burn. If life had any mercy at all, you and I would exist in peace for the rest of our days. We have both seen enough of war, but neither of us has seen the last of it. The Horde and the Alliance have been at a stalemate. Both of our armies have been exhausted against the Legion. But therein, I see an opportunity." "We take this azerite and use it to conquer Kalimdor. We build the greatest empire ever known; one that is untouchable against the Alliance. With the seas parting our lands, rather than mere borders, we can live and prosper without conflict. That is how you ensure the survival of the Horde for the next hundred years, $n." Saurfang and Sylvanas are also having disagreements. Saurfang would rather die honorably in battle. Sylvanas thinks it is a waste. "Honor means nothing to a corpse, Saurfang. You have the luxury of underestimating death, but it is something with which I am intimately familiar. Maybe you don't care if your people die so long as it is honorable, but to me, this Horde is worth saving. Anyone who disagrees does not deserve to stand among us. So die your warrior's death, High Overlord Saurfang. It means little to me. Perhaps I will raise your broken body to serve me once more. Or perhaps you will have a chance to say hello to your son." 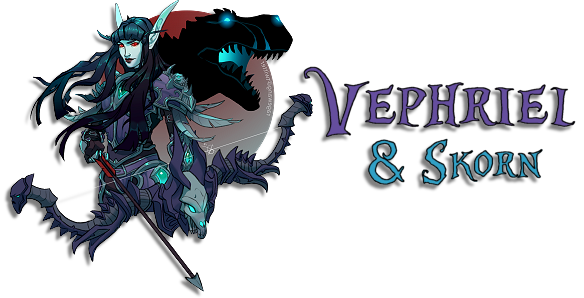 Also, it looks like there are far more VEs than was originally thought. Jaina, Genn - help me with Nathanos and Lor'themar. Alleria, take the rest of our troops and focus on routing the army! Start with those archers on the rooftops! We must have faith in the Warchief, Lorthemar. Today's Alpha build has this listed under map changes: Hall of Communion (Destroyed) (New). The Hall of Communion is where we went in Sholazar Basin to receive a message from Azeroth. Looks like something big will be happening there. Listen closely. We will not be in contact once we've entered Stormwind. Our scouts located a hidden entrance. The tauren and I will cover your escape. The Warchief and the Horde will disavow all knowledge of this mission should you be captured. I have supplied each of you with an easy death. If you find yourself out of options, use it. De 7th Legion be here. Whoever we breaking out, de humans not taking chances. I be going on ahead to find de prisoners. Watch my back. I think you best be taking this. We both know you are not here for me. Those you seek are down the hall. You not be coming with us. I see... If you are certain, High Overlord. I have stopped counting the days I have sat in this cell. It has, however, given me a great deal of time to reflect. Make sure you know the difference between loyalty and honor. And pray you never have to choose. Good on Saurfang. Sylvannas is the worst warchief, and all of this spoiler text really sets that in stone. I would say Vol'jin was the worst, since it's his fault that he let her be in charge, but Sylvannas is just a prickly piece of trash in all of this dialogue. If you want a home without fear of being killed, then make an effort to end the war. Don't tell your only relevant soldier to go die. Cool, I can't wait to find out what he does.